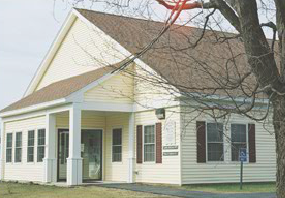 Bingham Area Health Center was the first practice in the HealthReach system opening its doors in 1975. We offer both medical and dental services to area residents. Our staff works to create a ‘medical home’ and the best care possible. Click here to learn more and to watch a video: Patient-Centered Medical Home. Bingham staff includes a team of medical providers, behavioral health specialists, dental providers and hygienists, as well as clinical and administrative support staff offering a variety of services based on patient needs. This includes access to our dental center on site. Our providers also maintain a strong relationship with Redington Fairview General Hospital in Skowhegan, where patients can go for additional service needs. The health and dental centers serve people across Bingham, Caratunk, Embden, Moscow, Pleasant Ridge, Solon, The Forks, West Forks, and surrounding areas. Located alongside the Kennebec River, Bingham attracts people throughout the year for its outdoor activities. Many people enjoy rafting, kayaking, fishing, hiking, taking a swim at Moxie Falls, ATV and snowmobile trails, skiing at Baker Mountain Ski Area, bird watching for Osprey, and other scenic outdoor activities.